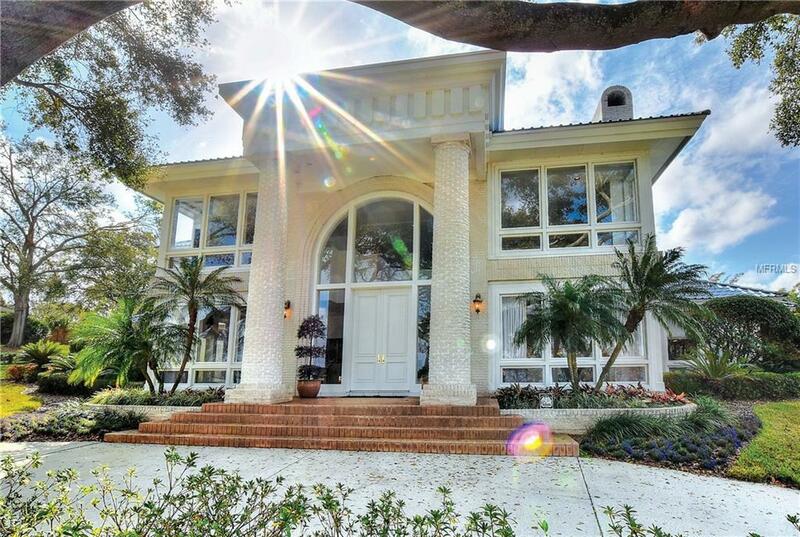 Contemporary/elegant two story white brick home overlooking magnificent Lake Hollingsworth. Stunning views of the lake are seen from many of the rooms. This unique home is designed with family in mind as well as friends or entertaining large groups. The rooms on the first level flow together for optimum use. A formal dining room and two-story living room with gorgeous gas fireplace open to TV/casual area as well as large casual dining room. 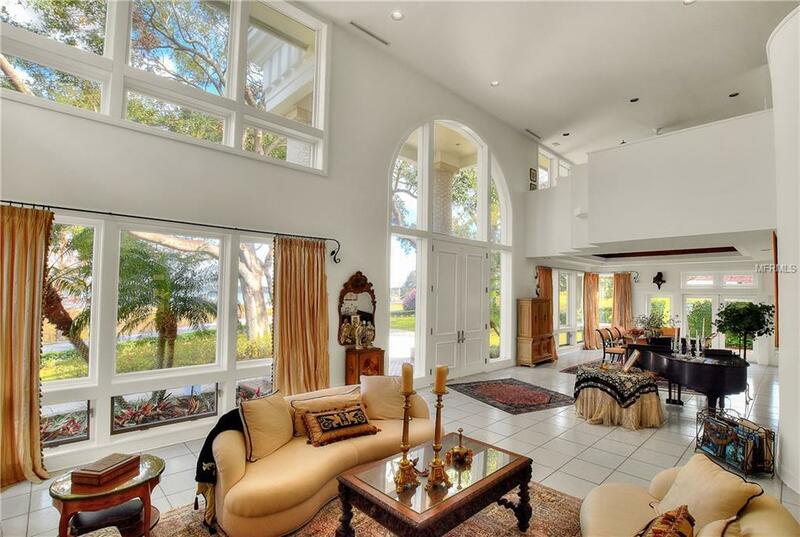 Back of house opens with three sets of French doors to a covered lanai and a walled garden. 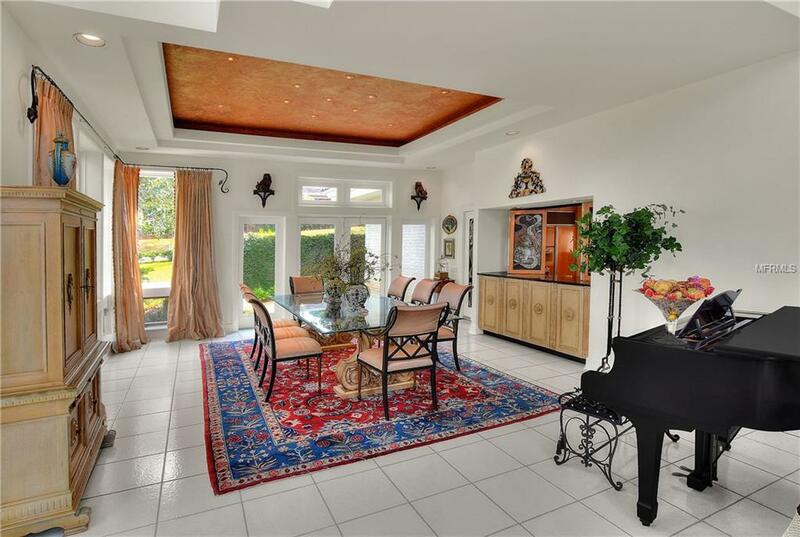 With access to all areas is the kitchen with large center island as well as a long bar with stools for conversation. Leading from the kitchen is an oversized laundry room with multi storage cabinets. Also on the first level is a second master suite with walk-in closet and double sinks in bath. 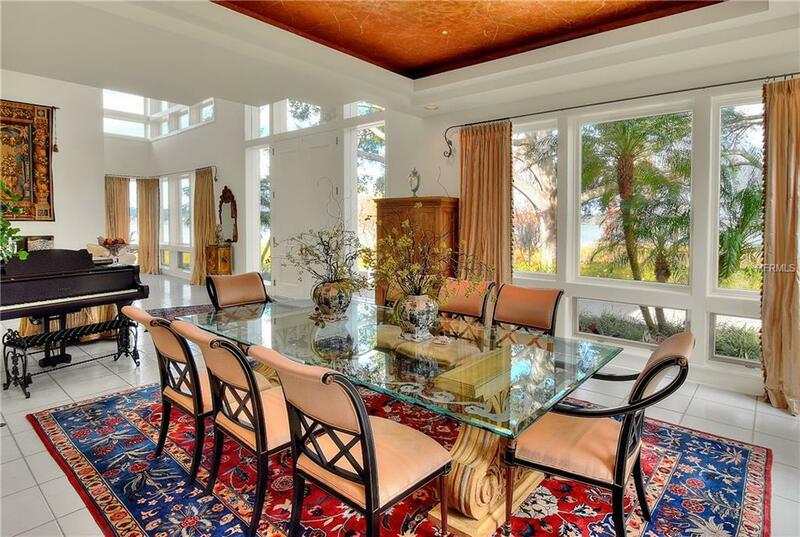 The sprawling floor to ceiling windows provide light, ambiance, and stunning views throughout the home.Walk from the family area across a short covered breezeway to the detached guest suite with two rooms and bath. This space was pre-wiredand plumbed for a kitchenette or could be converted into two bedrooms attached to the main home.On the upper level is a large master suite with gas fireplace, looking over the first level to the lake. The rooms open to a full patio. Two separate dressing rooms with walk-in closets, double shower and Jacuzzi tub complete the area.Also on upper level is a large room for office, exercise, or can be another bedroom with its own bathroom and closet.